When I first started the blog, I knew very little about designing a blog. I didn’t spend a lot of time fretting about the design because I just wanted to get started. I just wanted a medium where I can talk about the fun stuff that happens in life, a place where I can post my recipes, share tips on living healthy with friends and family. My blog is about 6 months old now (it’s still a baby) and I wanted to do something fun that changed things around here a little bit. This is the current header, it was something I created from a stock photo from WordPress and added the blog name on the picture. Below is option #1 of what I’m thinking of changing the header to. I’ve been having a fun time customizing a new header. Here is option #2. I like both options, they are similar yet it is different if you look closer to the details. What do you guys think? I am still working out the details and playing around with the size. I mentioned this weekend that I was baking a batch of snack bars for the fiance. He buys boxes of snack bars in bulk, he likes to eat them because they are convenient and can be easily carried in his work bag. Whenever I can, I try to bake something more nutritious and healthier than his go to snack bars. Spray 8″ X 8″ baking pan with non-stick cooking spray or use parchment paper. In a large mixing bowl, combine ingredients until smooth. Spread batter in prepared baking pan and bake for approximately 15-20 minutes until bars are cooked all the way through. Let bars cool completely in pan before cutting. I put 1 cup of trail mix on a chopping board and did a rough chop until all the nuts are uniformed in size. I bought this jar of lemon curd from Trader Joe’s for the sole purpose of making lemon flavored treats for the fiance. For me, these bars are perfectly sweetened but the fiance said that he liked for them to be more sweet next time. The sugar, dates and lemon curd all adds sweetness to the bar. 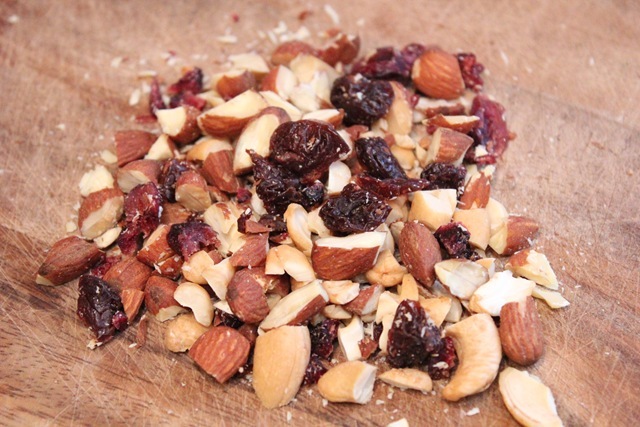 I loved the chunks from the nuts in the trail mix, because it adds plenty of texture. These bars are soft and chewy. The addition of the lemon curd gave the bars more of a soft texture instead of being densed. I loved them and have been eating them the last few days as snacks while running errands. Wrapped tightly to keep them from drying out and becoming crumbly. I stored the bars in a sealed container in the refrigerator. I’m not sure if these will last until this weekend. I wanted to take a few bars while we are at Disneyland but I have a feeling that I will baking a new batch soon. Hope your first day back at work after a holiday weekend went well! My day was busy but all I could think about the whole day was our engagement pictures. We are supposed to be getting our pictures this week. I have been anticipating them ever since the fun day we had at the photo shoot. i definitely like option 1 better. 🙂 the bars look great! Both are cute but I like the first one a little more! 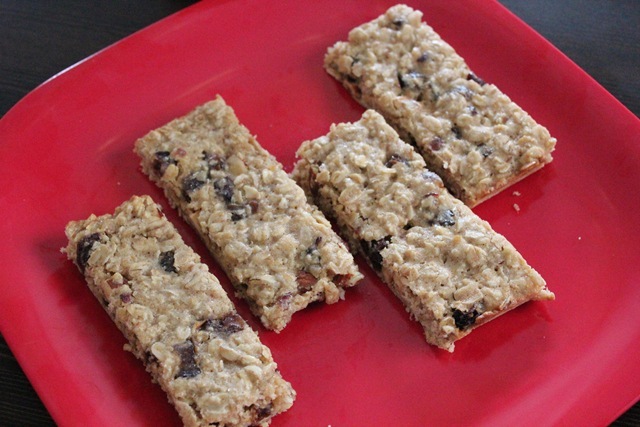 Lemon date oatmeal bars sound fantastic! 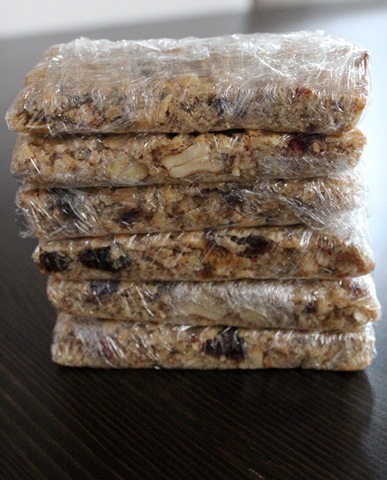 these bars look delicious – I make things like this for Jason to take to work for snacks… I know he would like these!! Those bars look amazing!!!!! =D Thanks for posting the recipe! I love both options, but I think I like #1 the best!!! I love both headers…but option #2 is my favorite!! The bars sound great! As I said in my post today, I am constantly on the lookout for new bread & bar recipes because I like them as a snack and Josh has at least a couple each day for breakfast or a snack. I bet the lemon curd added awesome flavor. I can’t wait until our TJs opens. Also can’t wait to see your engagement pics! AH! I like both headers, but if I had to choose, I would go with #2. 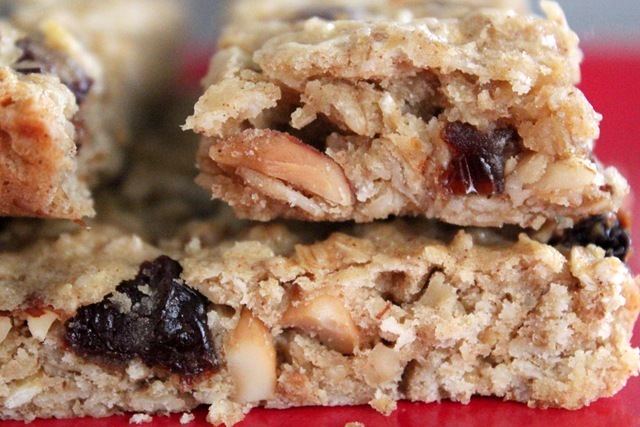 Those Lemon Date Oatmeal Bars look SO good! I love #1! I really like the colors and the designs. 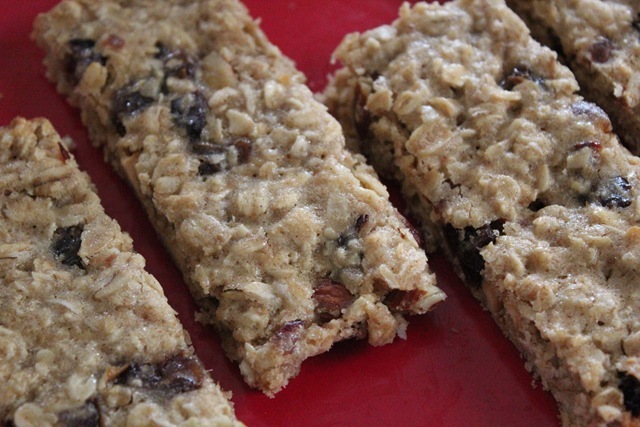 Those oatmeal bars look incredible! Nom! Love lemon in anything and everything. Those are great ideas, thanks for the comment. Now I just have to figure out how to do it, it sounds complicated but I’m sure with a designer, it will be easier. Hmmm, now the hard task in picking my fave dresses. I like the first one! 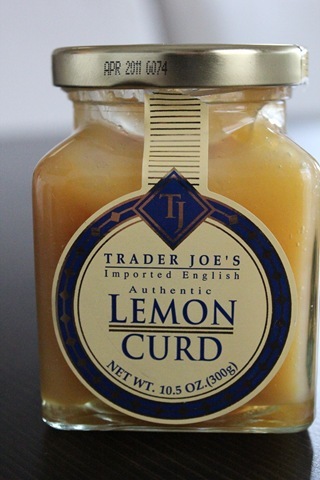 I’ve been meaning to try that lemon curd from TJs! Great recipe. those lemon bars look so good I’m going to make some for sure but with meyer lemon but vegan. Yummy. I tend to lean towards the first header, just looks good. Not as good as these lemon bars but it is all about the food, right? Thanks for the recipe to try, love anything with lemon curd in it. Lea, thanks for this recipe. Looks simple enough that maybe even I can make it. I like banner 1, it seems warmer. Maybe you can replace the o’s in the word coconut with an image of coconuts. I’m so happy I found your blog because I am a crazy coconut fan. I might even throw some coconut flakes into these bars. Madison, thanks for the idea of putting real coconuts to replace the letters “o”. I’m going to try it and see if that will work. For the next batch, I’m going to add toasted coconut flakes (toasting them intensifies the flavor) too. This batch was for the fiance and he doesn’t love coconuts. I like both headers but think that option #2 is more your style. Not that I know you very well! But from what I can tell anyway. Lovely recipe – I have a jar of the lemon curd that is crying out to be used up. Now I know what to do with it! may i know what can i use to substitute the lemon curd? You can try substituting it with a fruity jam or jelly or even pumpkin (in a can). I used the lemon curd for the sweetness and to add the lemon flavor. Let me know what you end up using.